Enticing aromas of fresh cut daffodil and lavender introduces this full smooth harmonious wine. Round flavours of red licorice, raspberry and cinnamon are bringing this juicy wine to a long smooth and elegant finish. This wine shows beautiful aromas of citrus, grapefruit and strawberry, the 2017 Pinot Rosé embodies the true essence of the classical Rosés found in the south of France. A vivid mouth-feel reveals the delicate balance of citrus and exotic fruit flavours, pleasing natural acidity and a crisp smooth finish. Perfect with a seafood dish or on the deck. A beautifully balanced wine with fragrances of lively lemon zest, nectarine and pineapple introduce this Chardonnay. A vivid mouth-feel reveals the delicate balance of earthy minerals, citrus and tropical fruit. Sur lies aging imparts this crisp, clean wine with an exquisitely long finish. Defined by its delicate fragrance, this wine embodies the true essence of this classic varietal. Enticing aromas of strawberry, cherry and soft black tea unlock integrated flavours of ripe raspberry, red current on the mid palate, which leads to smooth seductive spicy finish of cinnamon and nutmeg. Seductive aromas of black cherry, mint, black olive and leather, followed by a soft mouth-feel with flavours of plum, chocolate and blueberry towards a long lingering finish with taste of coffee bean and cedar. Our 2014 Cabernet Franc is the recipient of a silver medal in the 2018 WineAlign National competition. Fragrances of plum, black pepper, raspberry and toasty vanilla introduce our Cabernet Franc. Layers of elegant and well structured flavours of raspberry, chocolate and coffee on the mid-palate are followed by a soft and spicy supple finish. 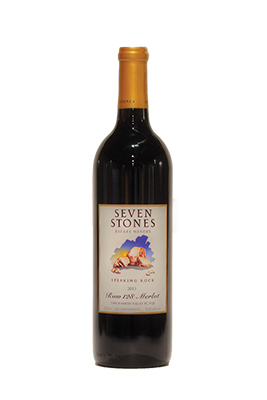 This multi-layered blend composed of 51% Merlot, 40% Cabernet Sauvignon, 6% Cabernet Franc and 3% Petit Verdot delivers seamless pleasure and lasting length. The impressive nose features elements of raspberry, olive, coffee and tobacco aromas followed by flavours of ripe plum, coffee bean, vanilla and spicy oak that ends with a long caramel finish. 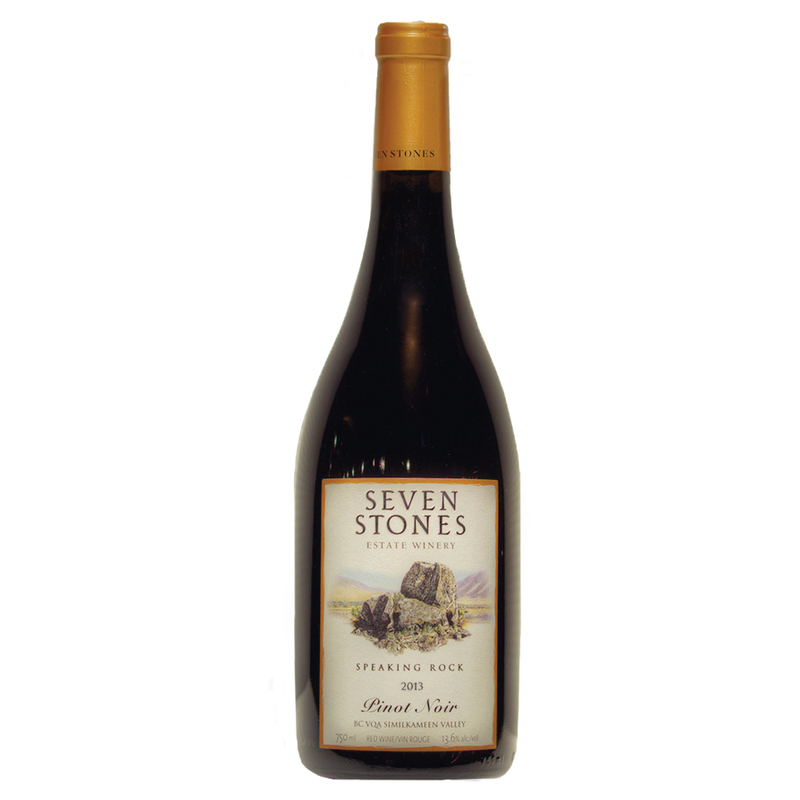 This wine has alluring fragrances of smoked meat, dark berries and white pepper. The Syrah is plush yet focused. Layered flavours of spicy licorice, ripe blackberry and bitter sweet chocolate provide a full and soft mouth-feel. Subdued oak and well integrated tannins are revealed towards a finish accented by hints of vanilla and cedar. The recipient of a gold medal in the 2018 WineAlign National competition. Using our best barrels, we’ve created this superior blend composed of 48% Cabernet Sauvignon, 32% Merlot, 12% Petit Verdot and 8% Cabernet Franc. Aromas of ripe dark fruit, spicy sage, coffee, green olives and cedar “Leap out of the glass”. The astounding complexity of flavours, the satisfying mouth-feel and exquisite finish will leave you with a “legend” to remember. 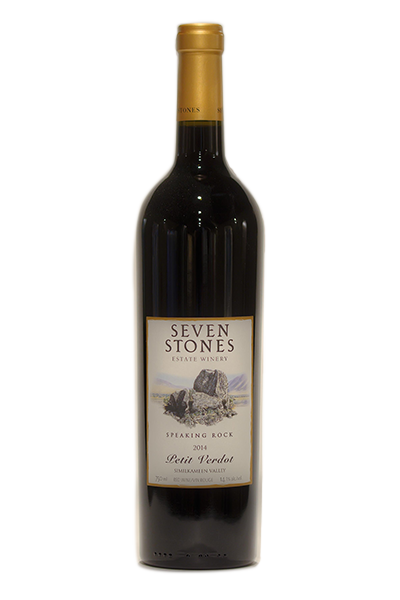 By entering Seven Stones' Wine Store, you affirm that you are of legal drinking age in the country where this site is accessed.